The weather is still warm and the school year has barely begun, but the subtle signs of fall have already turned our minds (particularly those hovering below five feet) towards the season that officially starts on Saturday. Halina and Riley have already made the crucial decision on what to be for Halloween (Cinderella and a clown), visions of Macy’s Thanksgiving Day Parade floats dance merrily in their heads, and winter holiday gift lists grow ever longer. 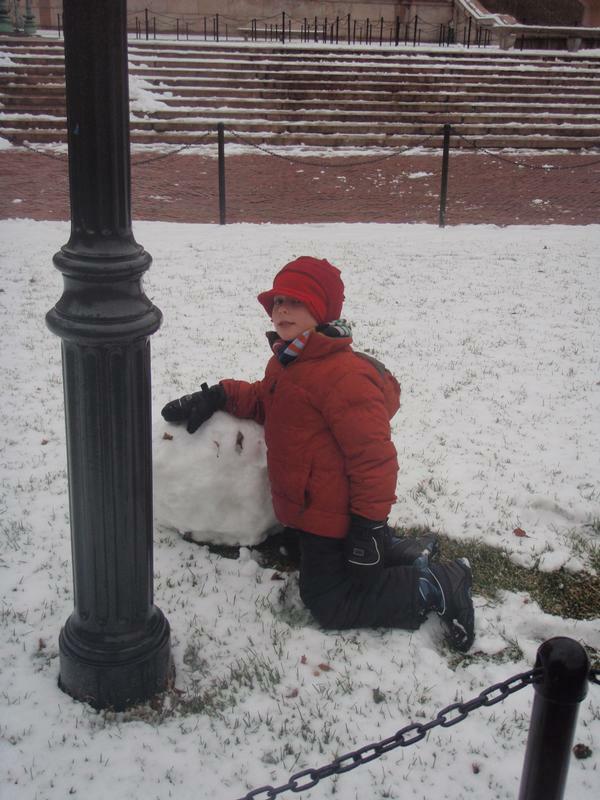 Most remarkably—given that both are still in shorts and last winter we barely got any snow—the prospect of snowmen is also on the horizon. 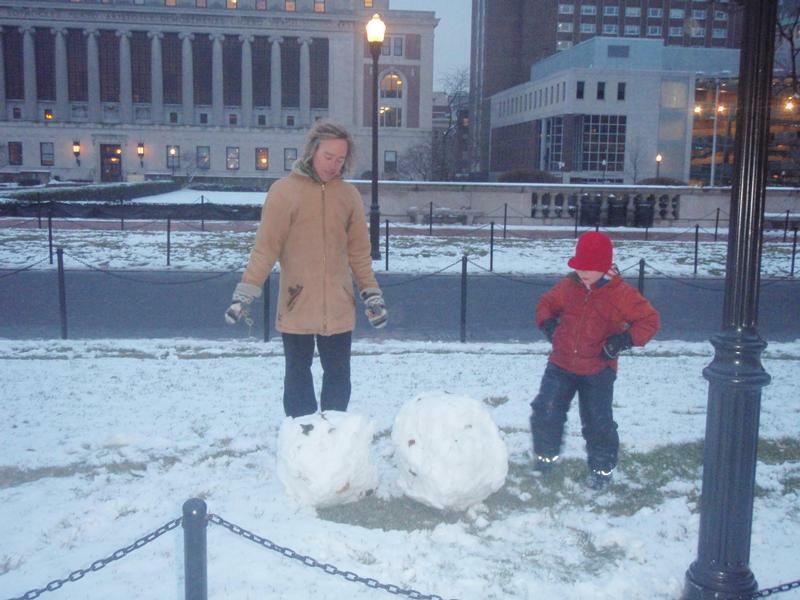 And when we roll snow into balls we roll on the campus of Columbia University. As any urban hiker familiar with the geography of Manhattan knows, the landscape transforms dramatically once you get north of of Central Park, particularly if you’re on the side closest to the Hudson River. All of a sudden the low-slung brownstones of the Upper West Side give way to the towering Beaux Art design of the neighborhood around Columbia, and as you continue heading northward up past City College into Washington Heights, the streets rise and fall dramatically. What you might not be aware of, however, is that the city’s perhaps best-kept secret when it comes to “playgrounds” lies right behind the high gates of 116th Street, enclosing the space between Broadway and Amsterdam. 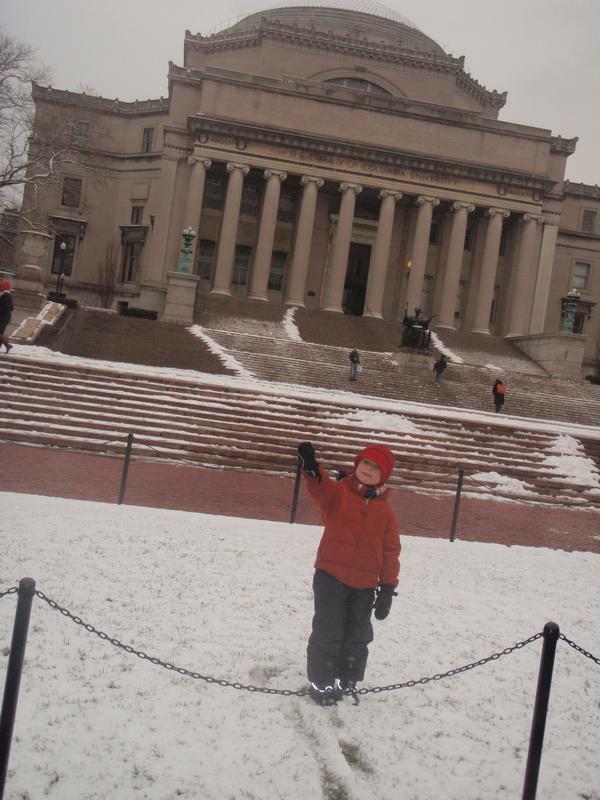 The Columbia University campus is a welcoming environment any time of year. Though, for obvious reasons, the best time to go is from late-May to the end of August, even with students around, it is an oasis. Almost as soon as you step onto the College Walk, the noise and bustle of the city seem to fade away. Perhaps the high brick walls absorb the sound, maybe it’s the rustle of the tree canopy overhead, but we cannot think of another location where you feel yourself so quickly transported to the outdoors within the city. When you arrive at the center—directly between Low Memorial to the north and Butler Library to the south—you will experience a vista very rare in a city where so much value seems to be invested in building up every square foot. The architectural designs of Stanford White seem to literally float above the surrounding streets. At this point there is much to explore. At the bottom of the stairs descending down from Low is a large brick platform that is ideal for kicking balls and playing catch. Undergrads and graduate students seem to enjoy the novelty of young kids, and tend to treat the stray ball that rolls in front of them, or the Frisbee that accidentally flies their way, as an invitation to prove they can still play too. The walls flanking either side of the stairway are also a great surface for kicking a soccer ball against, so long as the lawns fronting them are not covered by sun bathers or others enjoying the space. 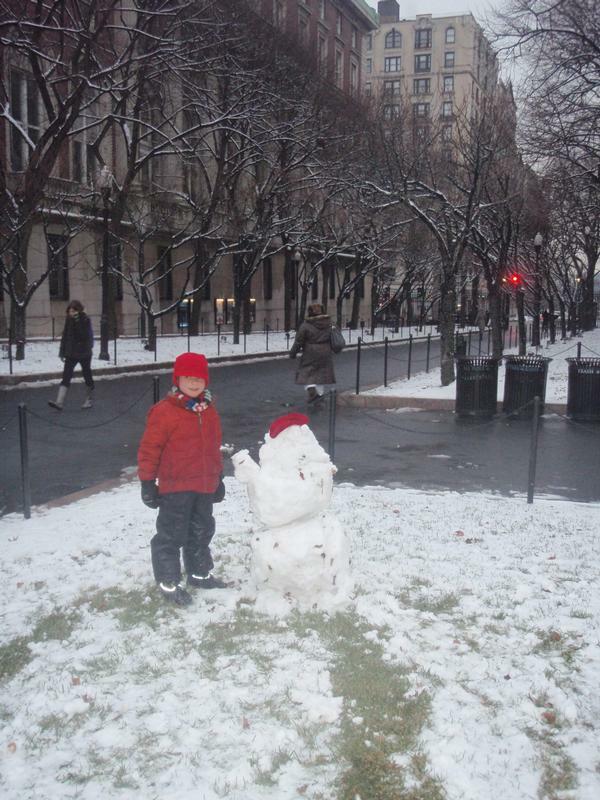 During the winter, you will find this an ideal place to build snowmen. A spontaneous snowball fight is also not out of the question. A good time to visit for such activities is during the winter break between semesters. If you climb the stairs and head west, you will find a nice green lawn, fronted by a statue of Bacchus, that is perfect for picnics and play. It’s also worth taking the time to walk toward the back of the campus, where you can see a newly constructed building, which is the first on the main campus with an entrance that faces outward to the street. This is intended as a gesture to highlight Columbia’s future expansion north. Speaking of, if you plan to spend more time in the neighborhood, it is worth checking out West Harlem Piers Park at 125th and the Hudson River Greenway. The south end of campus, though no less scenic, is a bit more crowded than the north. The playing fields on either side facing Butler are also reserved for students. Nevertheless, you should have a walk around to see the shady quad flanked by John Jay, Hamilton, Hartley, and Wallach halls. Another great spot can be found back up the stairs to the northeast. If you follow around behind Philosophy Hall you will find ramps leading up to an elevated lawn above Amsterdam Avenue. The view is absolutely fantastic and—so long as you don’t plan on any ball playing or Frisbee throwing—also an ideal place to picnic. What are some unofficial playgrounds in your neighborhood?